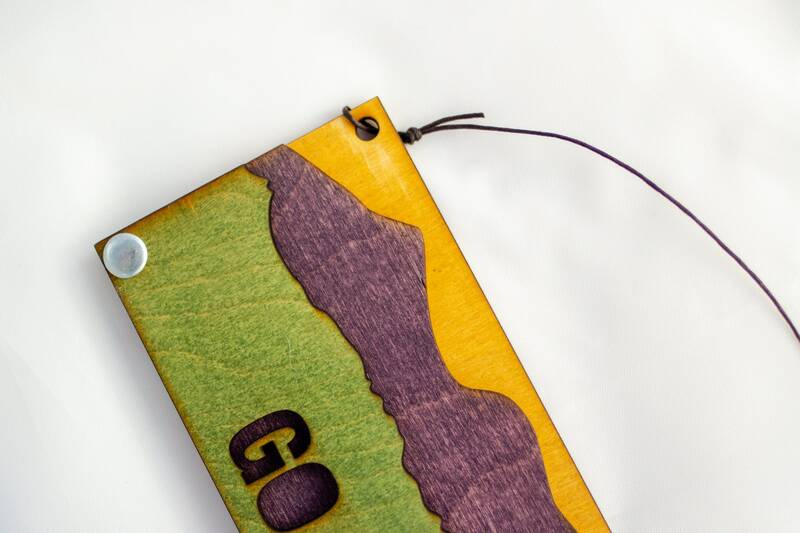 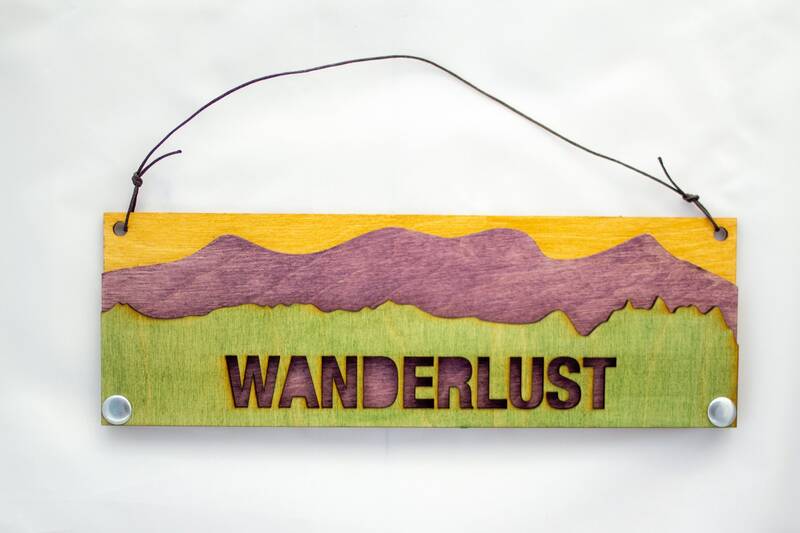 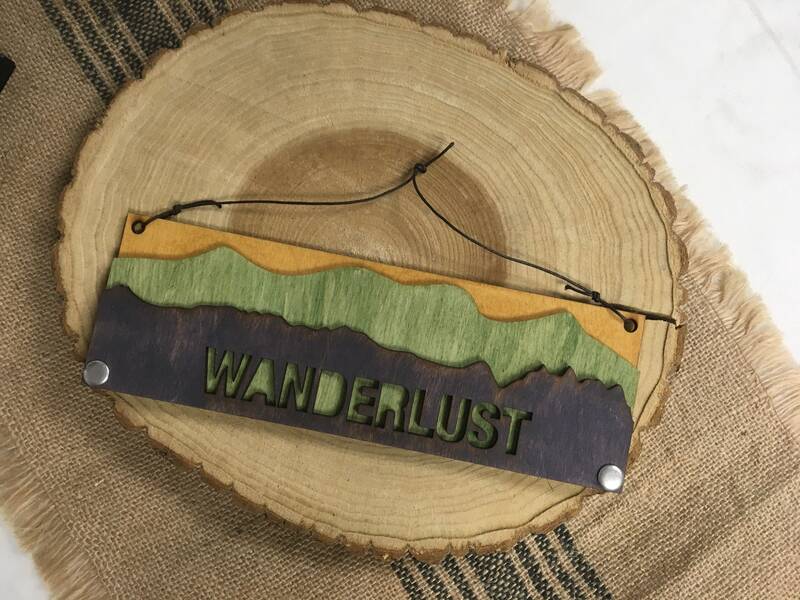 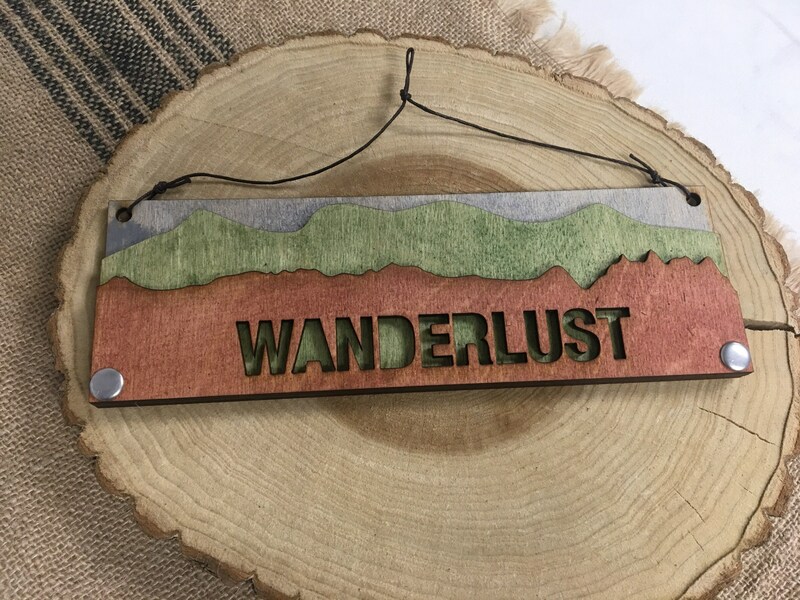 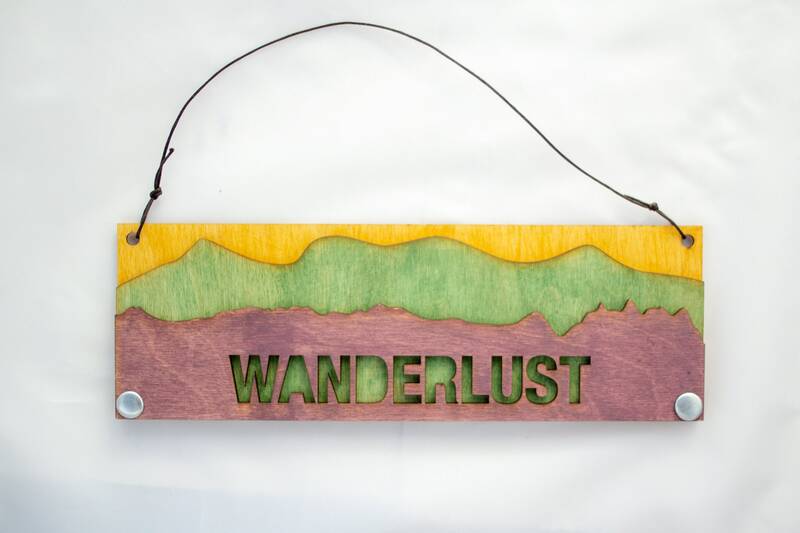 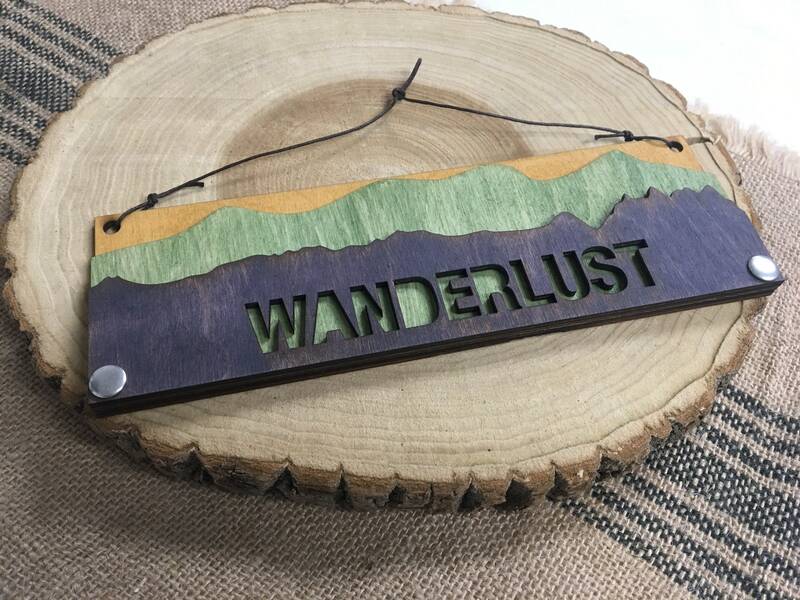 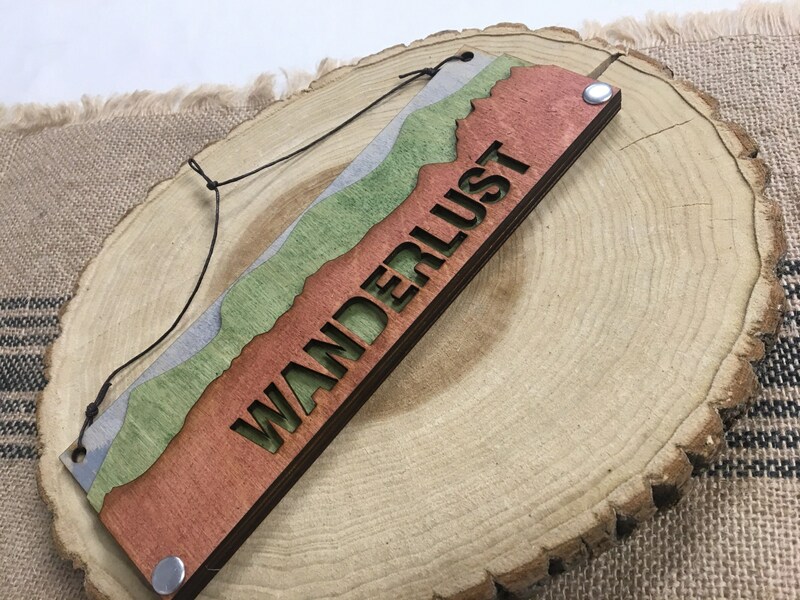 This is three layers of wood, riveted together to make an adorable rustic hanging plaque, with the text "Wanderlust." 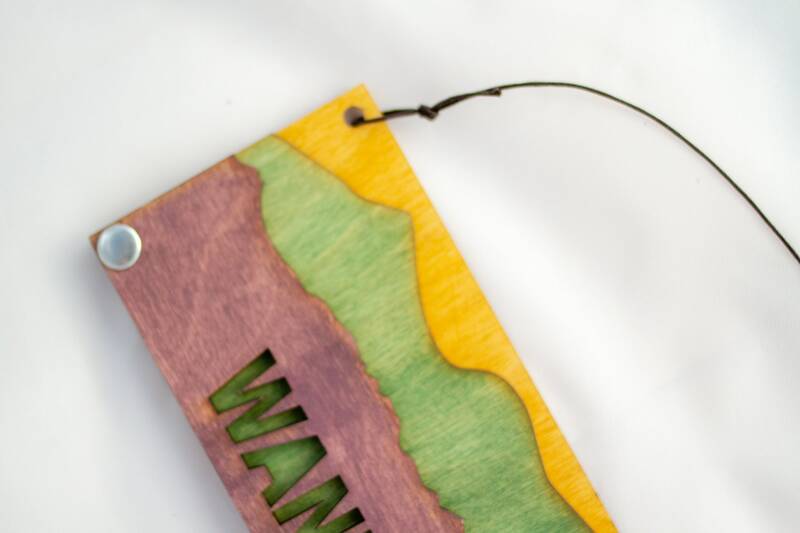 This item is tied with brown cord ready for hanging. 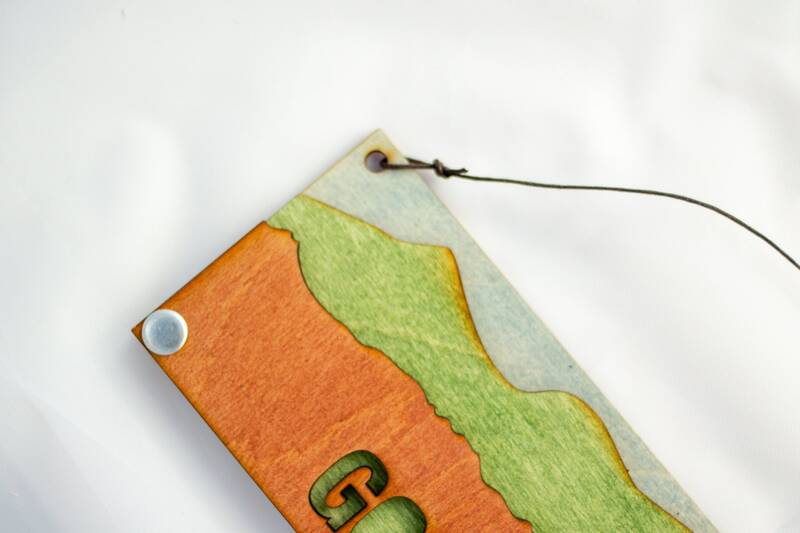 9 inches wide x 3 inches tall, aprox. 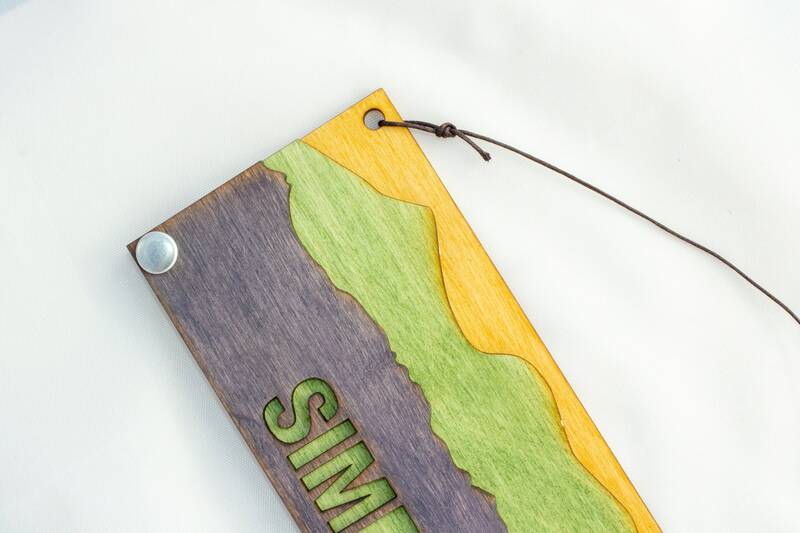 1/2 inches thick.